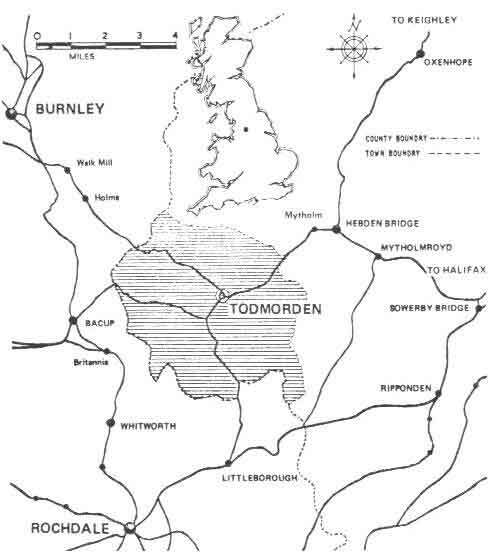 THE TOWNSHIP OF TODMORDEN & WALSDEN WITH THE SURROUNDING TOWNSHIPS. 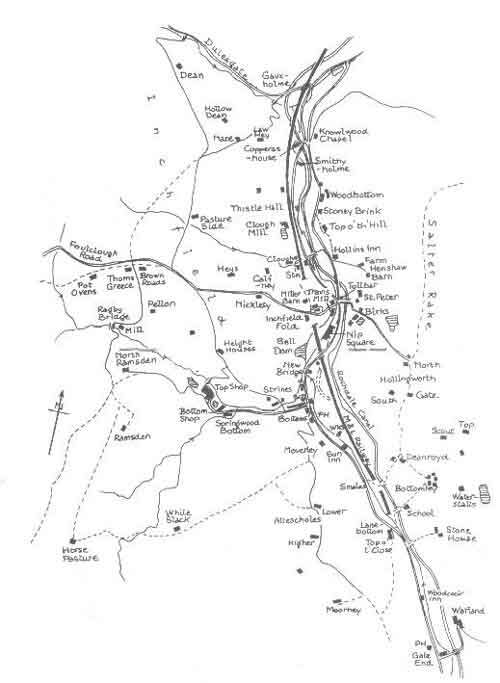 This attempts to show how the village of Todmorden lay within the 3 separate Townships of Stansfield, Langfield and Todmorden & Walsden. 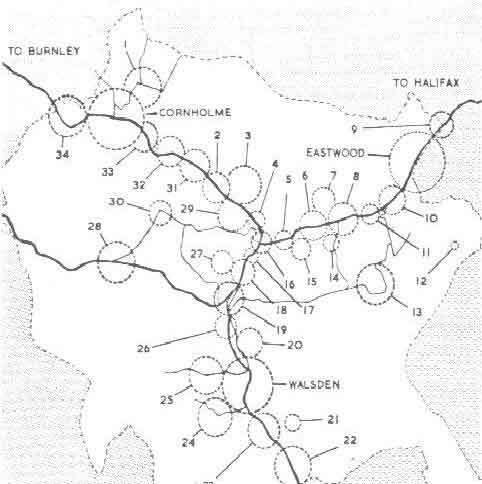 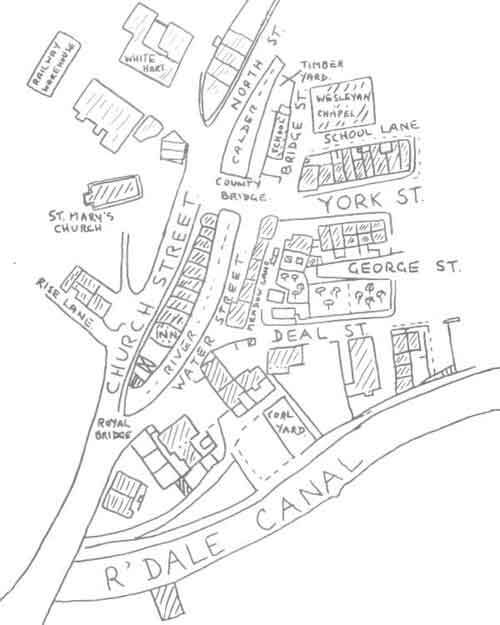 Stansfield and Langfield were in the county of Yorkshire and the parish of Halifax. 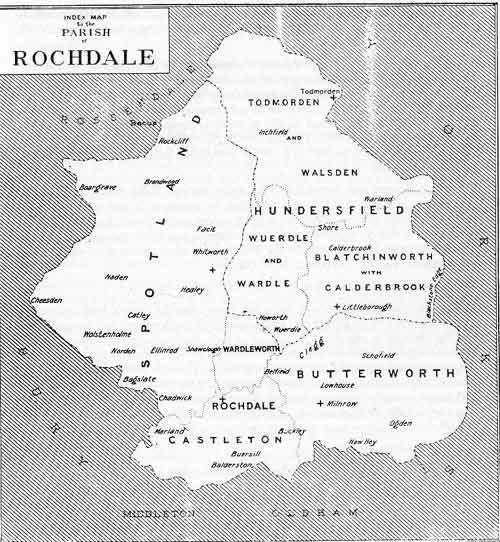 Todmorden & Walsden was in the county of Lancashire and the parish of Rochdale.